Like many observers, ANBAD has long noted the shift towards ever-complex pop music from solo artists. Being a soloist takes the desire to produce intricate music, then magnifies and massages it to tesseract-proportions of delicacy and contortionism. Not having a drummer constantly on your case about the lack of room in the song for a tom-tom fill allows ideas to ferment beyond usual parameters, I suppose. 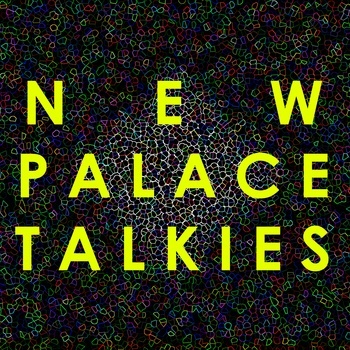 New Palace Talkies, despite the pluralised name, is a solo project, that, excitingly, expands to an eight-piece when the live brass section performs. Yep. Live brass. You’re interested now, right? Indeed, what’s overwhlemingly intriguing about Who Can Say is the prospect of a live brass-propelled version. But while we’re stuck listening through our headphones we can enjoy a song that revels in its own complications. Beats skitter – finally, a legitimate use of that particular cliché – and the song’s melody really explores the room. Yes, the above undersells the song mightily. It is hard to describe music that is often ludicrously self-indulgent in any other way. But New Palace Talkies is a man wrestling with his dual sensibilities: the need to make coiling and complex sounds, and the understanding that it has to have, you know, a tune and palatability. He nails it. As the song dissolves and bobs skyward near the end, every noodling is suddenly justified. Posted on February 5, 2013 by Joe Sparrow. This entry was posted in Headline, Today's New Band. Bookmark the permalink.